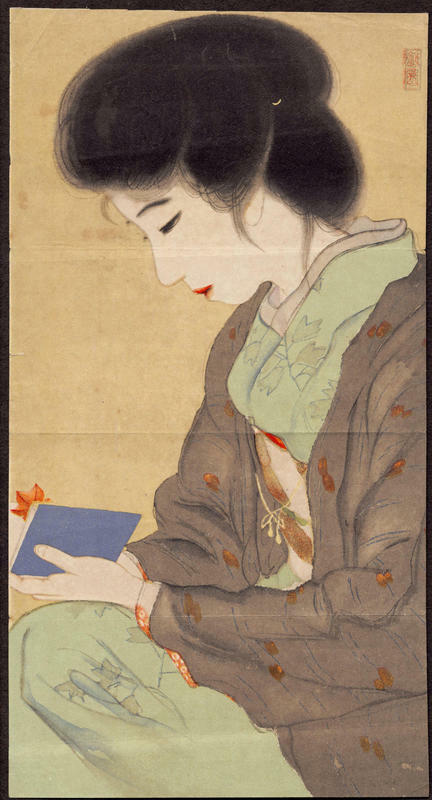 Unknown "Bijin Reading" - Lithograph - Chinese and Japanese woodblock prints for sale, silkscreen, scrolls, watercolor, lithographs. Artwork Details for Unknown "Bijin Reading"
Condition: Usual kuchi-e folds. Slightly soiled. Slight separation along top fold from right edge.